FAMILY-OWNED AND OPERATED SINCE 1961! When you're involved in an automotive accident, your world can spin out of control in a matter of moments. After the smoke clears, you're left to figure out what to do with your damaged vehicle and where to go next. Once you've handled all of the necessary legal and medical aspects of your accident, it's necessary to have your automobile fixed as quickly as possible so you can get back on the road safely and in a timely manner. 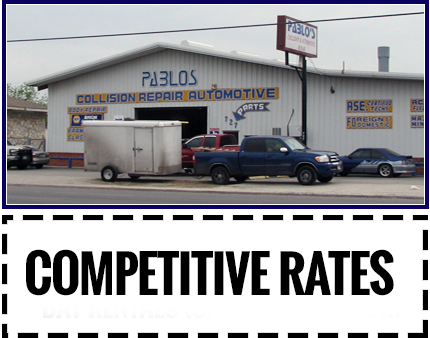 With more than 60 years of hands-on experience on our side, you can count on our crew of certified technicians at Pablo's Collision Repair & Automotive Service to restore your vehicle to its best condition. Here at our auto body shop in San Antonio, we offer a full range of services that are designed to bring even the most damaged cars back from the brink of death. We understand that expensive auto body repairs simply add insult to injury after an accident, so we strive to ensure that every service we provide at our body shop is as affordable as possible. When you visit us for your repair needs, we work with you to provide a reasonable solution for the restoration of your vehicle so you'll be able to get back behind the wheel without having to break the bank. 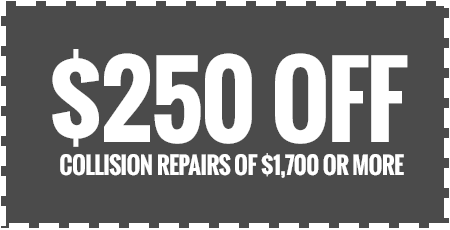 Every service that our repair specialists provide begins with a free estimate to give you an idea of the total cost needed to restore your vehicle. We are glad to negotiate your deductible to ensure that you receive the fairest deal for your repair. Our car body shop also offers competitive rates that are backed by an exclusive warranty, and we welcome insurance claims to assist with your repair fees. Our auto body mechanic staff is a proud member of the NFIB (National Federation of Independent Business) and NWYC (National Write Your Congressman), and we have also received an A+ rating from the BBB. Each of our repair specialists has been certified by Sherwin Williams to provide automotive finishes, and has received advanced I-CAR training and certification, as well. Even if you can't make it into our shop, we gladly offer complimentary roadside assistance as part of our commitment to helping you get where you need to go. Contact us to schedule a visit to our auto body shop. We serve clients in San Antonio, Helotes, Leon Valley, Balcones Heights, and Alamo Heights, Texas. Monday - Saturday: 8:00 a.m. - 5:30 p.m.